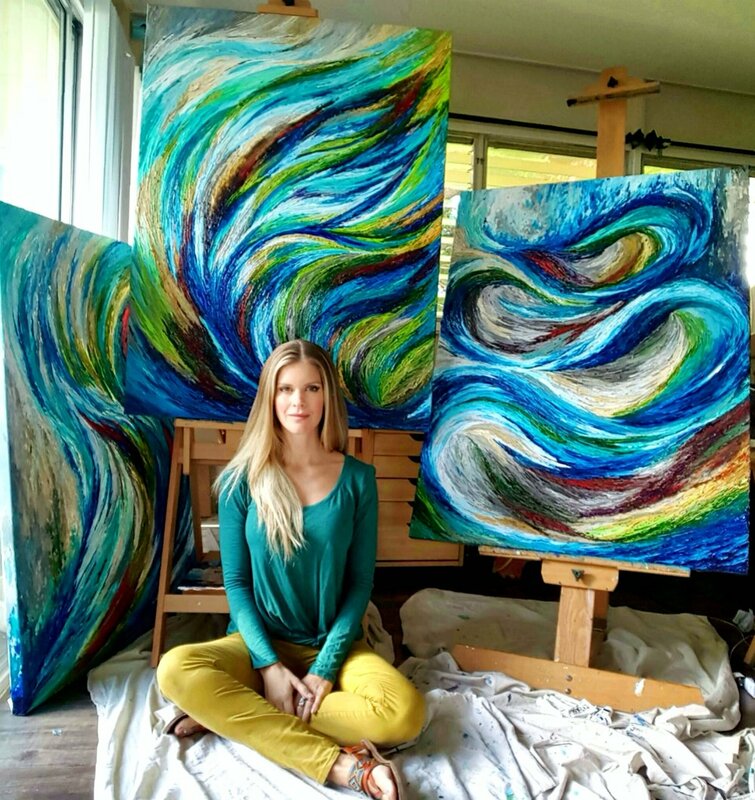 Vivid color, aggressive texture, and fluid movement are hallmarks of Jenna Wellein’s acrylic, oil, and mixed-media paintings. 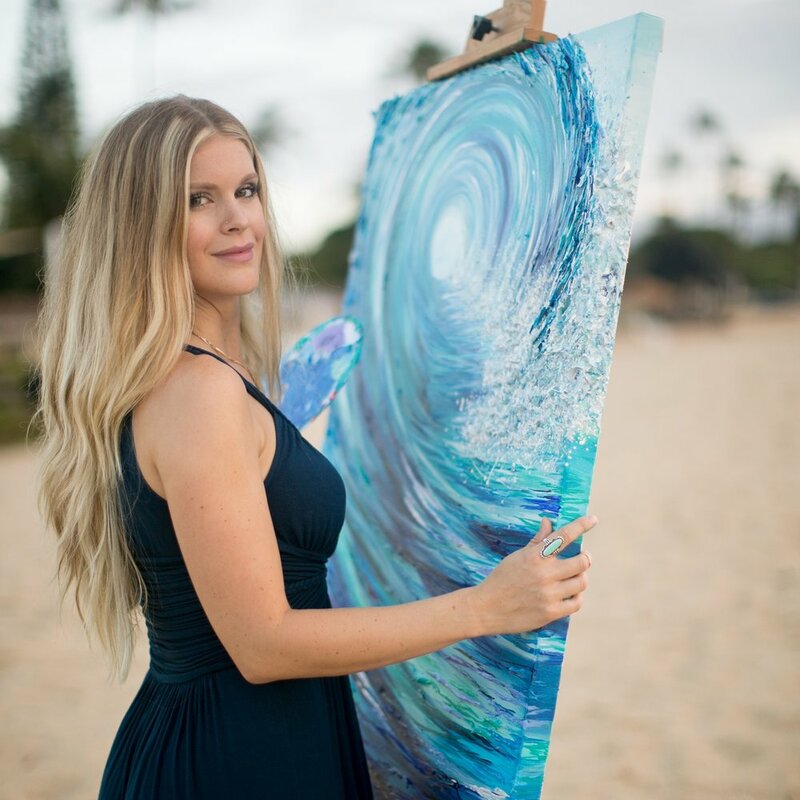 A self-taught artist, Wellein uses original techniques to create stylized and abstract pieces inspired by the Hawaiian islands. Follow @jennawelleinart on social media for inspiration and studio scenes. and sneak peeks of upcoming artwork. Mahalo!